In a complex world, visual clarity wins. The core concepts of visual clarity are revealed in Dan’s books and keynotes. The messages have inspired hundreds of thousands of people around the world to pick up a pen and start clarifying complexity. Bring together your team for a 1-to-2-day visual clarity session. Develop and practice the visual skills that align your teams on the actions ahead, the decisions to be made, and the strategies to pull it all together. 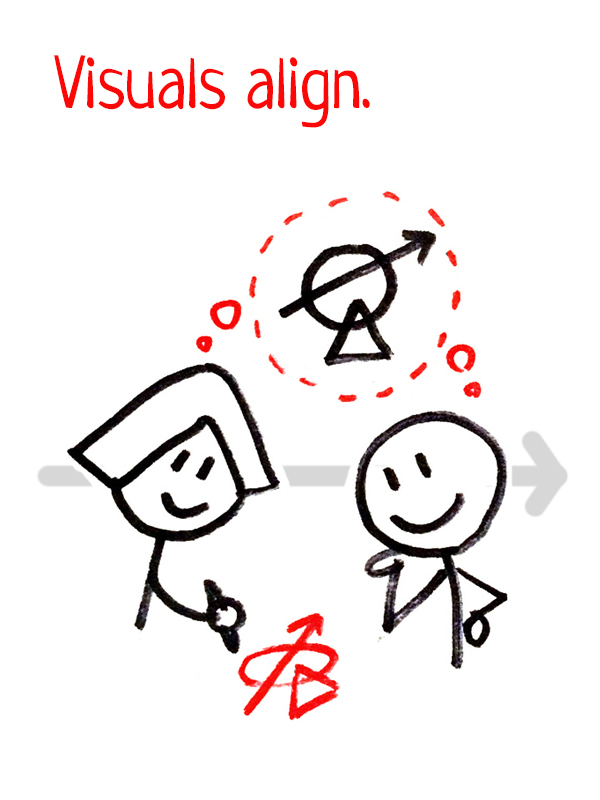 Develop the visual tools you need to move ahead, communicate your vision, and sell your ideas across your organization. Our clients tell us: complexity, ambiguity, and uncertainty dominate their world. As a solution, we offer the most powerful processing engine in the world: your visual mind. Why? Because the antidote to uncertainty isn’t certainty; it’s CLARITY. The fastest way to clarify complexity isn’t discussion, data retrieval, or systems analysis; it’s DRAWING. Consider this: your visual mind consumes more than half the neurons in your brain — and processes information thousands of times faster than talking. Knowing that, why wouldn’t you want to be more visual? 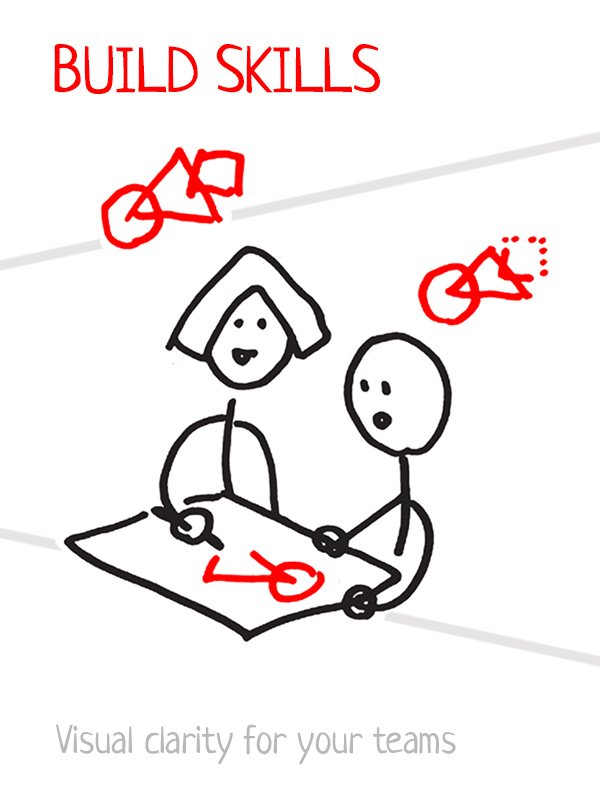 The research is now conclusive: the best way to share an idea is to draw it out. 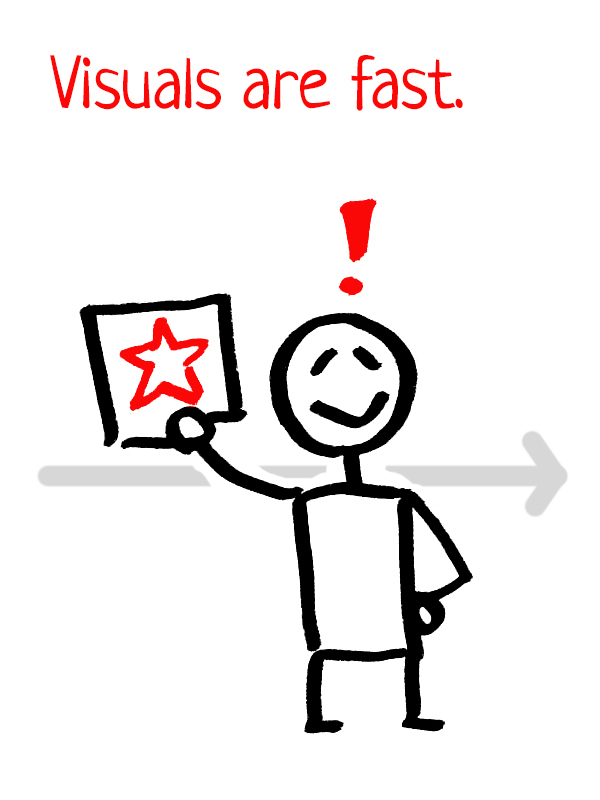 When your teams need to “be on the same page,” they win through the skill of rapid VISUAL STORYTELLING. 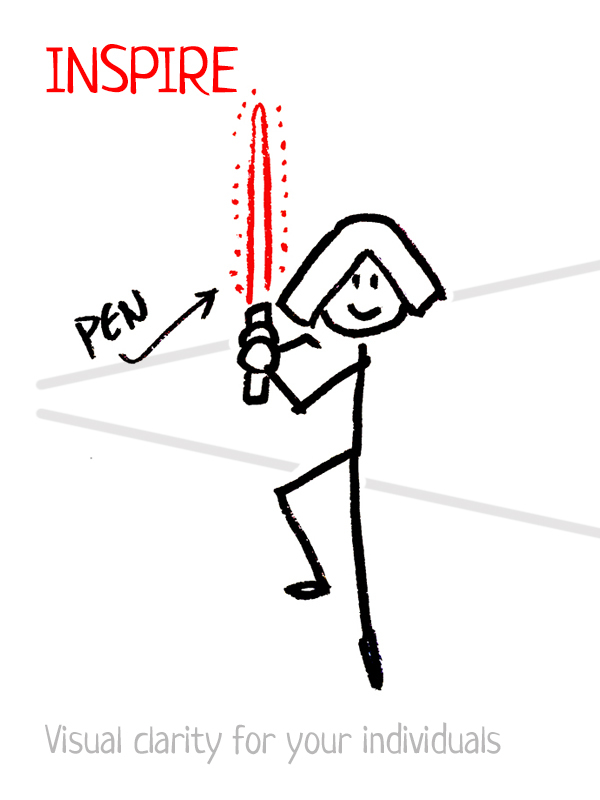 Remember: drawing for clarity isn’t art; drawing is good thinking made clear. When people can see what they need to do, they are infinitely more likely — and more capable! — of doing it. When coordinated action is required, the best guide is a crystal-clear ROADMAP. People who see the WHY and the HOW get the job done. Let's talk about how visual clarity will help your business win. Dan Roam is the author of five international bestselling books on business-visualization which have been translated into 31 languages. The Back of the Napkin: Solving Problems with Pictures was named by Fast Company, The London Times, and BusinessWeek as 'Creativity Book of the Year.' Dan's newest book, Draw to Win, was recently published by Penguin Portfolio, and debuted as the #1 new book on amazon.com in the categories of Business Communications and Sales and Marketing. Dan has helped leaders at Google, Microsoft, Boeing, Gap, IBM, the US Navy, the United States Senate, and the White House solve complex problems with simple pictures. Dan and his whiteboard have appeared on CNN, MSNBC, ABC, CBS, Fox, and NPR. In a career spanning thirty years and three continents, Dan Roam has doggedly pursued two business passions: making complex things clear, and helping people discover their own visual genius. Before founding Digital Roam Inc in 2004, Dan served as Client Partner & Creative Director at Razorfish, Scient, The Interactive Bureau, Red Square Productions, The Moscow Times, and the San Francisco Bay Guardian. Dan graduated from the University of California Santa Cruz with degrees in Biology and Fine Art. Dan is the author of five international bestsellers that explore the remarkable power of visual communications. Luis Solis believes simple visual communications enable transformation to improve the world. 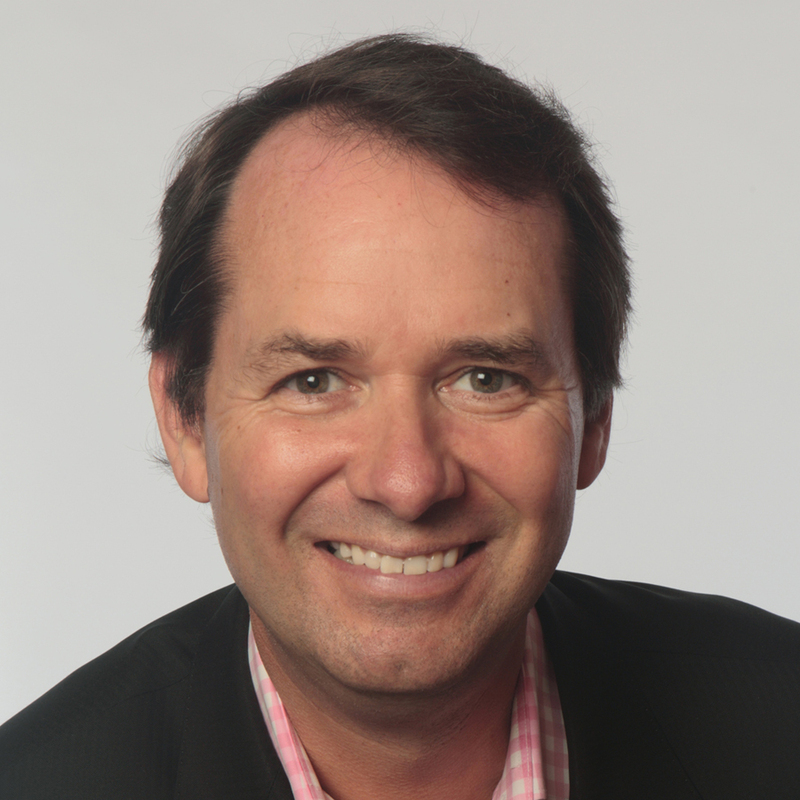 He is a business growth executive dedicated to helping leaders succeed with new business models, innovation and change. Luis served as CEO, President, and Advisor to numerous technology organizations including Imaginatik, GroupSystems/Thinktank and Symbius, with executive positions at GE Capital and 2 other global firms. His career initiated in middle-market private equity on Sandhill Hill Road. A graduate of Stanford University's Business School, Luis is the author of Innovation Alchemists: What Every CEO Needs To Know To Hire The Right Chief Innovation Officer. We are supported by an exceptional cadre of Design, Communications, and Human Resource experts, experienced in delivering engagements of value and impact.